Dirt floors are difficult to manage and keep clean. Digging out "problem areas" is a constant nuisance. Concrete floors are easy to clean, but are uncomfortable to stand on for long periods of time, even for humans. 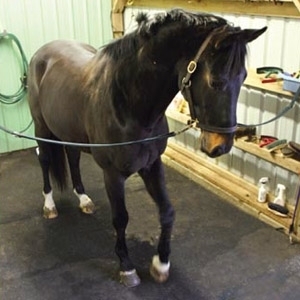 With Tenderfoot Stall Mats, the amount of bedding needed is dramatically reduced. Stall DRY® Absorbent and Deodorizer is composed of a natural blend of food grade diatomaceous earth and clay in a granular form, which has the ability to neutralize ammonia and absorb odors and moisture. 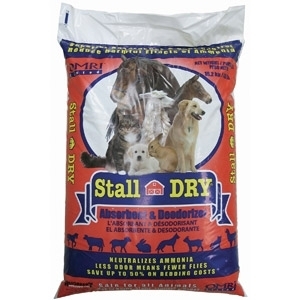 Stall DRY® provides ammonia cpntrol and deodorization and is safe to use with all animals. Stall DRY® reduces ammonia levels, eliminates odors and provides moisture absorption. 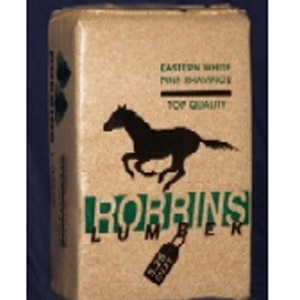 Compressed softwood pellets are highly absorbent compared to wood shavings. 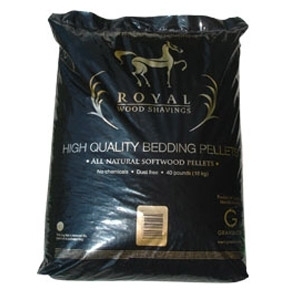 Great fluffy bedding for horses and other animals! 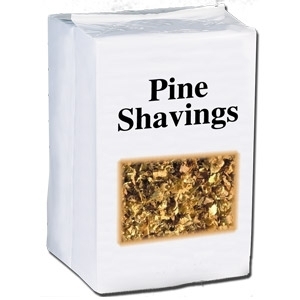 Premium quality, pure pine flakes for maximum cushioning and great absorbency. Fresh natural pine scent. All natural wood shavings bedding. Kiln dried to ensure minimum moisture content for maximum absorbency, as well as to kill any bacteria present. Triple screened to remove irritating dust. 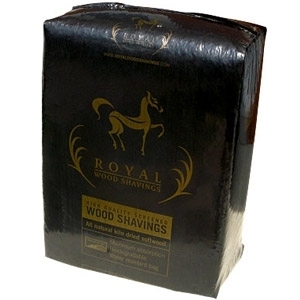 Made from eco-friendly softwood by-product. Easy pick. 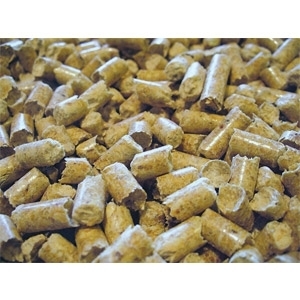 All natural soft crumbled or whole wood pellets. Dust free and easy to clean. 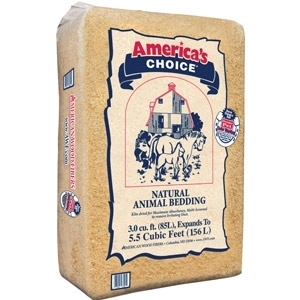 Manufactured for animal bedding. 40 pounds bag (18 kg). Consistant quality all-natural soft wood. Maximum absorption &100% biodegradable. Minimal dust & easy to clean. Comes in water resistant plastic bag. Kiln dried to kill harmful bacteria. Reduction of respiratory diseases and allergies. No staples that can cause injuries. Naturally effective against those unwelcome guests. 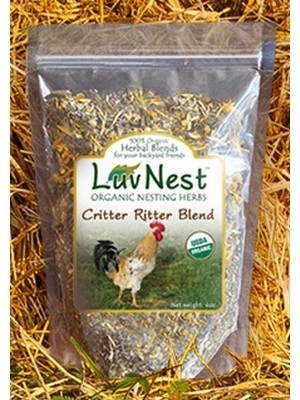 Along with the health benefits of Luv Nets's Original Blend, Critter Ritter includes Rosemary, Thyme and other herbs to help increase the effectiveness in combatting lice, moths, and other pests. All of Luv Nest's products are 100% organic, preservative and additive free; completely natural and edible! 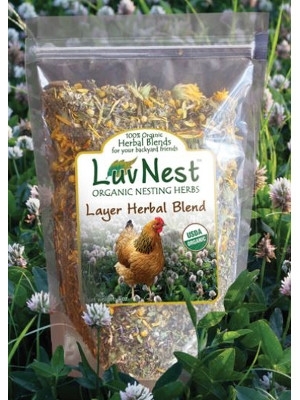 Layer Blend is specifically targeted to help sooth "ruffled feathers", and help support laying and reproductive systems.